Lovehistory And More of It…..Please! If you’ve enjoyed Shiverpool or some of the other ghostly tours around our city or even ventured to York and experienced the haunting tours there or the Dracula night forays of the Whitby tours then be taken with Liverpools latest offering. Beginning at Liverpool’s famous Pig and Whistle pub and led by an authentic Sea Captain, visitors will traverse through the founding streets of Liverpool, tracing the path walked by their ancestors to the city’s most established public houses. The tour then visits Ye Old Hole in the Wall Liverpool’s oldest public house, Thomas Rigby and the Ship and Mitre. The walls of these long standing ale’ouses have a tale to tell and Lovehistory’s very own Sea Captain will recount these tales and along the way there will be traditional Scouse sea shanties including Liverpool Judie’s, Leaving of Liverpool and Maggie May. This exciting expedition ends under the ancient archway of Doctor Duncan’s stuated just a stone’s throw away from the iconic St Georges Hall. Just make sure if you take this tour to keep a look-out for the famous or infamous, Liverpool Judie’s who might just be lurking around the corner! With five pubs and a half glass of ale included in the price at the Pig and Whistle and Doctor Duncans, this exclusive tour will warm the cockles of your heart as your taste buds delight in the finest ales Liverpool has to offer. 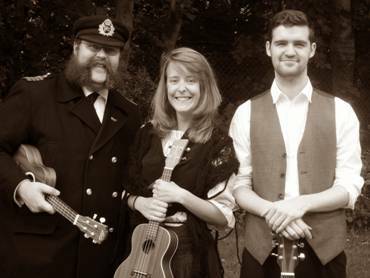 Performances will keep you entertained with stories and songs from our famous maritime history. This rich and vibrant omnibus theatrical tour is 2 hours long and every Thursday night 18.30 pm till 3rd January 2013. This is a tour that’s well worth it so be pursuaded to book it in one night. Beginning outside the Pig and Whistle on Covent Garden and ending at Doctor Duncans on St John’s Lane, Queens Square, I certainly recommend this one…. for a good nights enertainment.